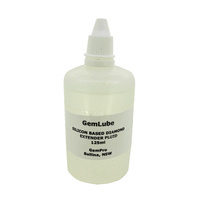 Gem-Pro diamond compound is a high quailty polishing and lapping product made in Australia. 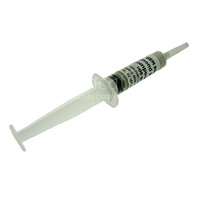 It comes in a handy 5ml syringe that makes dispensing the diamond compound easy and hassle free. Gem-Pro diamond compound uses only DeBeers synthetic diamond - widely recognised as the worlds best diamond powder. Unlike many other diamond compounds, Gem-Pro Diamond Compound has a natural base so that you aren't messing around with dangerous chemicals. 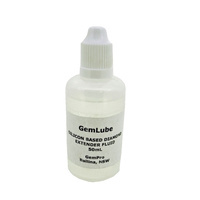 Gem-Pro diamond compound is pigment free. Don't risk staining your precious gemstone with a pigmented diamond compound. The diamond compound will adhere well to the surface being polished and has a very high percentage of diamond compared to most other products. The diamond compound is easily washed off with water for an easy clean up. It provides fast results with a very high polish. 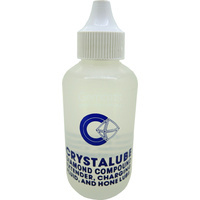 Gem-Pro Diamond Compound comes in most common grits from 100 through to 100,000.